9.00 AM to 1.00 PM and 2.00 PM to 7.00 PM. The purpose of the manifestation of Sri Veerabhadra Swamy was to destroy Dakshyagna. After demolition of Dakshyagna, Lord Maha Vishnu advised to give life to Daksha and subsequently the Dakshyagna was successfully completed. However, Sri Veerabhadra Swamy could not control his anger. The saints and gods went to Vaikunta and requested Sri Maha Vishnu’s help to appease Sri Veerabhadra Swamy. As per their request Maha Vishnu, in the disguise of Narasimha went to Veerabhadra Swamy but he could not do anything. So Maha Vishnu went to Brahma Loka and sought Lord Brahma Deva’s help. Then the gods prayed Adiparasakthi to appease Veerabhadra Swamy. Adiparasakthi sent one of her Kalas, named Bhadrakali to calm Veerabhadra Swamy. After taking a dip in the nearby lake she took the form of a beautiful woman and approached Veerabhadra Swamy. On seeing her, Veerabhadra Swamy’s anger vanished and he became calm. Lord Vishnu, Brahma Dev, other Gods and saints performed the marriage of Lord Veerabhadra Swamy and Bhadra Kali in the way of Gandarva Vivaham. Since then it became a tradition to perform Gandarva vivaham to Veerabhadra Swamy which is popularly continued today in the name Nitya Kalyanam. If the marriages of their daughters are delayed parents perform Nitya kalyanam to Sri Veerabhadra Swamy for his grace so that the marriages take place without delay. 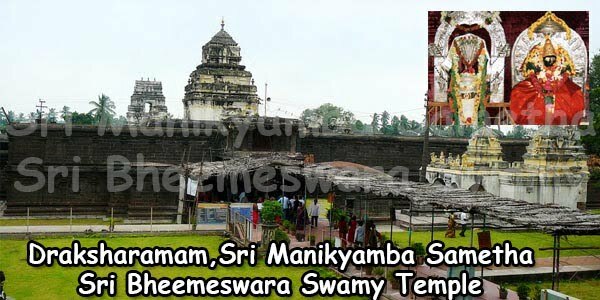 It is believed that the Nitya Kalyanam of Sri Veerabhadra Swamy is witnessed by the Rishis like Agastya, Sukudu, Viswamitra, Vasista, Gowtama, Bhargava, Vyasa, Bharadwaj, Marichi, Kasyapa, Markendeya and Narada. There is another interesting story. Once, the king of Peddapuram sent mangoes to Lord Veerabhadra Swamy to perform Poojas and Nitya Kalyanams. Since there was no transport facility in those days, it was sent through a Brahmin. On the way, the person who carried the mangoes felt very hungry and he ate a mango. Then he reached the temple and performed the Abhisheka, Kumkuma Poojas and Kalyanams to the Lord Veerabhadra Swamy and returned to Peddapuram with the prasadam. The very same night the Lord appeared in the dreams of Peddapuram Raja and told him that he received only one mango as offering and then he disappeared. The king summoned the Brahmin who went to the temple with mangoes. The king told the Brahmin about his dream and questioned him what happened. The Brahmin was faithful and he bowed to the king and confessed that he ate one mango because he was very hungry. The king understood that the Brahmin was very poor and he sanctioned him necessary financial help immediately. After few days, when the king went to Muni Mandali to worship Lord Veerabhadra Swamy, he ate meals from that old Brahmin’s house. The king was very much pleased with the meals served by the Brahmin and asked him about the secret behind the tasty chutney. The Brahmin told the truth that the chutney was prepared with grass. He said that since he and his wife were very old they could not go outside to purchase good items to serve the King. The king was satisfied with his innocent words and he granted the Brahmin a piece of land at Komaragiri village by the name of Gariki Pocha Manyam. 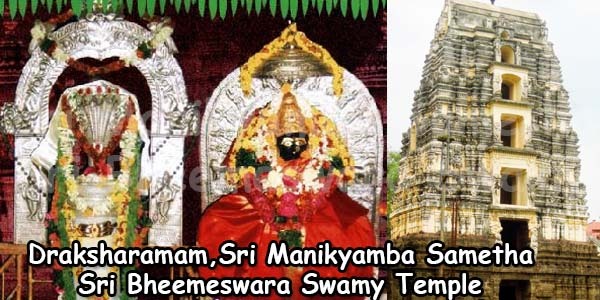 There are two persons named Sambanna and Ramanna, who were working for the Hyderabad Nawab in Kesanakurru, who had deep devotion to Sri Veerabhadra Swamy. Because of their devotion, instead of sending money to the Nawab they spent the whole amount for performing Nitya Kalyanam of Lord Veerabhadra Swamy. One day when the Hyderabad Nawab enquired about the income and expenditure statement of Kesanakurru, the Diwan informed him that no amount was received from Kesanakurru. Then the Nawab contacted Sambanna and Ramanna and checked the records and found that they had spent the whole amount for the Nitya Kalyanam of Lord Veerabhadra Swamy. The Nawab got angry and sent them to jail. They denied taking food in jail and always prayed the Lord. The Lord, pleased with their devotion, appeared before Sambanna and Ramanna. He promised them that he would do the needful to release them from the jail. Then Lord Shiva appeared in the dreams of Nawab in his dreams and told him to release them from the jail or else his kingdom would be destroyed. The Nawab released them from the jail and asked them to return the money they had spent for the Nitya Kalyanam of Lord Veerabhadra Swamy. When they said that there was no money with them, the Nawab ordered to whip them. When the servants whipped Sambanna and Ramanna, it was hit to the Nawab. Now the Nawab understood the order of the Lord who appeared in his dreams. He sent both Sambanna and Ramanna again to Kesanakurru and told them to spend the whole amount for the Nitya Kalyanam of Swamy in future. With the passage of time, due to natural calamities and flood, the temple collapsed in the river. 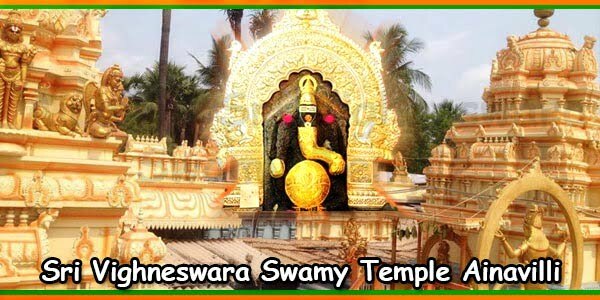 Lord Veerabhadra Swamy appeared in the dreams of Saraba Raju of Komaragiri and asked him to restore the temple. He along with his servants tried to move the Shivalingam from the river but could not do that easily but finally with God’s grace they moved it. Since it was very heavy and they could not bear the weight, they kept the Shivalingam at Muramalla village. Shortly, a temple and Gopuram was constructed and they started poojas and Nitya Kalyanams to the Lord as before. Once a Land lord named Routhuperamma was traveling by ship and it was struck in the middle of the sea. She prayed to Lord for help and promised to construct a Mandapam if she safely reached the shore. The Lord granted her request and she constructed a Mandapam in black granite. 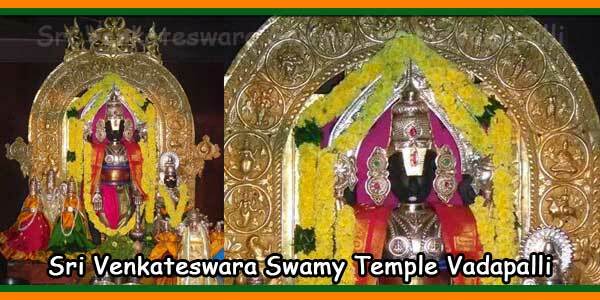 Those who perform Nitya Kalyanam of Lord Veerabhadra Swamy live a happy life with peace and prosperity. 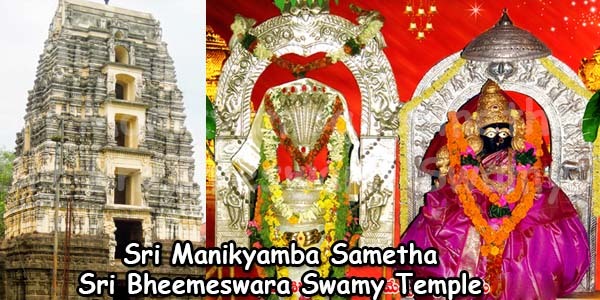 One need not visit the temple to perform Nitya Kalyanam but can send money and get it done. Nitya Kalyanam Pooja starts from 5.00 P.M. onwards. In order to facilitate the dinner under ‘Annadanam’ scheme, the devotees registered to perform the Kalyanam should be present along with receipt well before 5.00 P.M.
Nitya Kalyanam Pooja starts based on sunset (Suryaasthamayam). Devotees should carry 2 Garlands (Poomalas), Beetle Leaves (Tamalapakulu), Beetle Nuts (Pokachekkalu) and Bananas. The remaining Pooja materials will be arranged by temple authorities. Swamyvari Prasadam, Seshavastramulu, Akshinthalu and Kumkuma will be distributed as prasadam to all the registered devotees of the day. For the registered devotees did not come to the temple, the Swamyvari Prasadam, Akshinthalu and Kumkuma will be sent by courier. All the Pooja materials or samagri should be carried by the devotees as required. Please call 08856-278136 for more details and Nitya Kalyanam availability. Nitya Kalyanam Pooja will be start from 5.00 P.M. In order to facilitate the dinner under ‘ANNADANAM’ scheme, registered devotees attended to perform the Kalyanam should inform their presence along with receipt to temple authorities by 5 P.M.
Nitya Kalyanam Pooja will start according to sun dusk (Suryaasthamayam), devotees should carry 2 Garlands (Poolamalas), Beetle Leaves (Tamalapakulu), Beetle Nuts (Pokachekkalu) and Bananas. Remaining Pooja material will be arranged by temple authorities. Swamyvari Prasadam, Seshavastramulu, Akshinthalu and Kumkuma will be distributed to all the registered participant devotees of the day. For non participant registered devotees Swamyvari Prasadam, Akshinthalu and Kumkuma will be couriered. The Temple is maintaining 4 rooms for accomodation. There are 3 Non A/C rooms available the price is Rs.250.00 for 24 hours. 1 A/C is there which costs Rs.600.00 for 24 hours. Sri Vigneswara Swamy Vari Temple, Ayinavilli 22 Kms. Sri Venkateswara Swamy Temple, Amalapuram 22 Kms. Sri Bala Balaji Temple, Appanapalli(v) 32 Kms. Sri Bhemeswara Swamy Temple, Drakasharamam(v) 35 Kms. Contact Timings: 9.00 AM to 1.00 PM and 2.00 PM to 4.30 PM. Sir, Is kalyanam only for daughters? Or can male unmarried perform kalyanam? You can perform the pooja for boys also.